The event store can be replicated by using a replicated journal implementation, e.g. Cassandra. However, there is one piece missing: clustering the broker itself. Luckily, akka-cluster is there to help! Let’s see how using it we can make sure that there’s always a broker running in our cluster. First of all we need a working cluster. 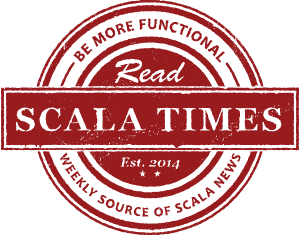 We will need two new dependencies in our build.sbt file, akka-cluster and akka-contrib, as we will be using some contributed extensions. as we will be using the same config file for multiple nodes (for local testing), the port will be overridden in code. Apart from the port, we also need to specify the hostname to which cluster communication will bind. finally, we are declaring that any cluster nodes started using the config file will have the broker role and use the cluster receptionist extension – but more on that later. To specify the port we create configuration from a string with only the port part specified, and to use the other settings, we fall back to the configuration from the template file. Having the cluster ready, we now have to start the broker on one of the nodes. At any time, there should be only one broker running – otherwise the queue would get corrupted. For that the Cluster Singleton contrib extension is perfect. In the ClusterSingletonManager properties, we specify the actor to run, the message that can be used to terminate the actor, and the cluster roles on which the actor can run (our clusters’ nodes have only one role, broker). The BrokerManagerActor takes a port (should be unique to each node if we want to run a couple on localhost), and creates basing on that an address on which the socket for new queue-message-sending-clients will listen, and another for the queue-message-receive-client listening socket. One problem remains, though. The clients that want to use our message queue need not be members of the cluster. Here the Cluster Client contrib extension can help. Finally, when the client stream completes (e.g. because a broker is down), we try to restart it after 1 second. Probably some exponential back-off mechanism would be useful here. 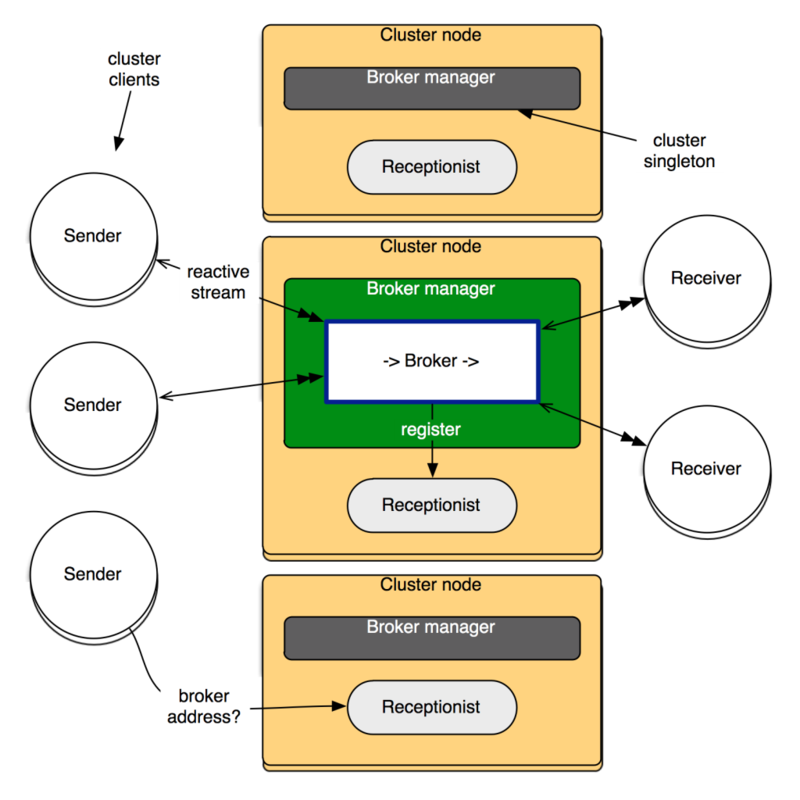 If you try to run ClusterReceiver (any number), ClusterSender (any number), ClusteredBroker1, ClusteredBroker2 and ClusteredBroker3, you will see that that the messages flow from senders, through a single running broker, to the receivers. You can kill a broker node, and after a couple of seconds another one will be started on another cluster node, and the senders/receivers will re-connect. I’d say that’s quite nice for the pretty small amount of code we’ve written! And the best side is, in the code we don’t have to deal with any details of back-pressure handling, storing messages to disk or communicating and reaching consensus in the cluster. We now have a truly reactive application. Thanks to Endre from the Akka team for helping out with adding error handling to the streams. 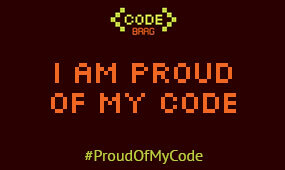 The whole code is available on GitHub. Enjoy!